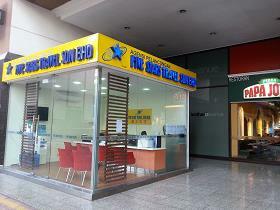 Five Stars Express(M) Sdn Bhd has no relation with Fivestars Tours Pte Ltd (Singapore). All Five Stars Express (M) Sdn Bhd buses, departing from Berjaya Times Square and One Utama, will operate as usual. Over the years, they never fails to be at the top of consumers mind. 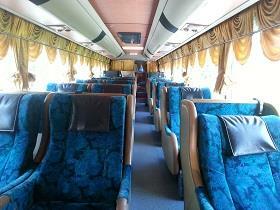 With years of experience, each coach trip promises to be of world class standard. Fivestars coaches are well equipped with innovative technology and amenities. For a high level of comfort, each and every one of Five Stars coaches are well equipped with 18 ergonomically designed snoozer seats, much bigger than airlines business class seats, with a fully electronic controlled seat system that allow passengers to relax with sufficient leg space and stretch out during the journey with extended footrests that giving you support at the right places. Besides putting comfort as the top priority, fun and entertainment is something that they provide additionally for passengers. With the personal 10.1″ LCD screen affixed to the back of every seat which can access to a variety of movies, concert performances and music videos will keep passengers well entertained during the journey. With personal earphone provided, passengers can enjoy the programmes without disturbing other passengers or be distracted by their surroundings. Thus travelling in Five Stars coaches will no longer be a tiring endless journey. Not only does it provide you with the comfort and enjoyment, Five Stars coaches also equipped with GPS Monitoring System which meets the highest safety standards set by Malaysia’s Road Transport Department (JPJ), Land Public Transport Commission (SPAD) and even Singapore’s LTA (Land Transport Authority). Thus ensuring each trip on Five Stars coach is safe and enjoyable. Five Stars Express(M) Sdn Bhd believes in setting new standards in coach travelling and what more, the excellent amenities meet the needs of modern day travelling and take the pain out of long-haul road trips permanently.